A man was seriously injured when he fell 300ft from a Lake District mountain. 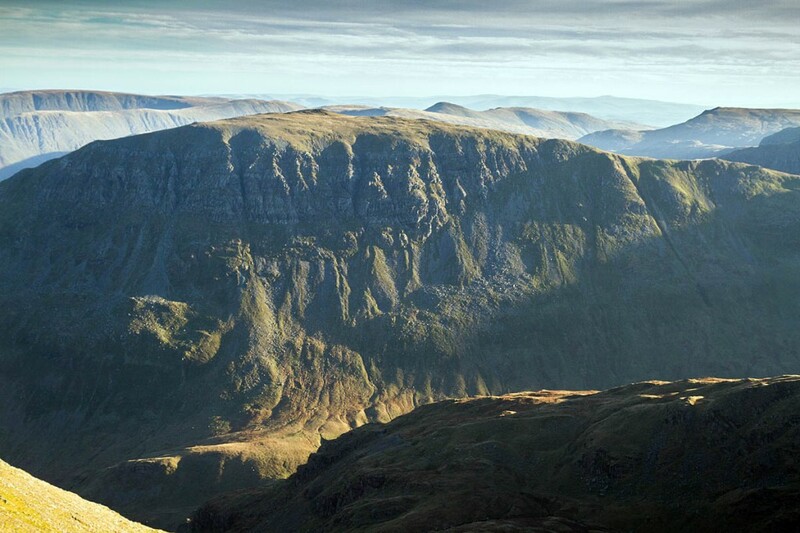 The 69-year-old suffered multiple injuries in the fall from St Sunday Crag on Saturday. Patterdale Mountain Rescue Team was called out about 4.05pm. Team members made their way up to the site of the incident where a passing police officer and emergency medical technician from Cumbria were helping the man and his friends. A team spokesperson said the man had serious head injuries, possible chest trauma, a broken leg and wrist. He was treated at the scene by the rescue team’s doctor, a doctor and paramedic from the Great North Air Ambulance, and team members. He was then carried on a stretcher to the valley bottom before the medical team from the air ambulance anaesthetised the man before flying him by helicopter to the Royal Victoria Infirmary in Newcastle upon Tyne. Team leader Mike Blakey said: “We did not initially issue a statement as we were unable to contact his family and it was clear that he had suffered serious injuries. “We are pleased to report that we are expecting him to make a full recovery, which is remarkable given the distance which he had fallen. The four-hour rescue involved 16 Patterdale MRT volunteers and four crew from the air ambulance. Was this a different call-out to the one not on St Sunday Crags but at Thornhow End NY 384 152 off Birks? If so can you change the image please? I offered assistance but was told all was in control. An innocuous path, a trip or overbalance and a tumbling roll down the hillside over some rough ground. Best wishes to the casualty and a speedy recovery.